Over the years, Fox series have featured some of the most white bread characters on TV – and in the case of The Cleveland Show, a black guy voiced by a white guy – but at least a handful of their new series each year try to appeal to more “urban” city-dwelling demographics, with guns and skyscrapers everywhere. The latest of these is the loyalty-splitting drama Gang Related, which now has its first full-length trailer for its upcoming debut season. And though it wears its plot on its sleeves the entire time, I think Fox might have infiltrated a very interesting storyline. It’s best to take out a pen and paper before trying to keep up with all of these characters. 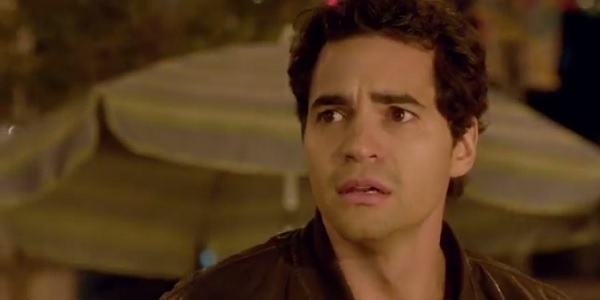 Gang Related is centered on Detective Ryan Lopez (Ramon Rodriguez) of the Los Angeles Gang Task Force. He’s an up-and-coming officer, respected by Task Force leader and father figure Sam Chapel (Terry O’Quinn) and the rest of the team, including Tae Kim (Sung Kang) and Vee Dotsen (Inbar Lavi). Ryan gets a new partner, veteran Task Forcer Cassius Green (RZA), when his best friend and partner is killed. Not exactly a fairy tale story, but it’s still a solid squad. Except, the only reason Ryan became a cop in the first place is because he was given the position by Javier Acosta (Cliff Curtis), the leader of the deadly Latino gang Los Angelicos, who are naturally one of the targets of the Task Force. Ryan has kept his secret for many years, helping to thwart investigations to keep Javier and his underlings safe. (Javier’s son Carlos (Rey Gallegos) is actually a gang lieutenant, while his other son Daniel (Jay Hernandez) is a crime-free investment banker.) Though it seems to have been going smoothly, Ryan is now becoming conflicted about who he is most loyal to: the dangerous criminal who raised him after his father was killed, or the police force who turned him into a reputable man. That’s also the face I make after watching an explosion at a carnival. Gang Related has obvious ties to Martin Scorsese’s The Departed, but this is Fox after all. (Just look at how the beginning of the trailer is lit like a Mexican soap opera.) I can’t deny that the constant stream of tension-laced dialogue throughout the promo roused my interest and slowly allowed me to form an expectation or two, but this looks like the least nuanced plot imaginable. Every single line is along the lines of, “You ain’t no real cop,” and “Don’t forget to protect the family,” and “You ain’t no real family,” and “Don’t forget to protect the cops.” I’m hoping there is at least a modicum of humor and outlier conversations to balance all the “one of us/one of them” references. I’m fully on board with the ominous tag line though: Every villain has a noble case, Every hero has a dark side. So which will it be, Ryan? Noble or dark? Audiences can find out when Gang Related makes its Fox debut on Thursday, May 22.